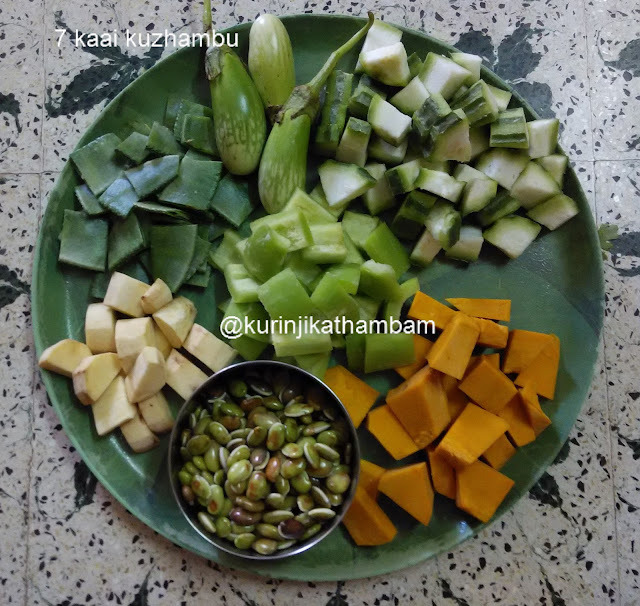 In Tamil nadu, most households prepare 7 kari kootu which uses vegetables which grow underground. However in our Kongu region, We prepare 7 Kaai Kuzhambu with 7 vegetables which are traditional naatu kai only. 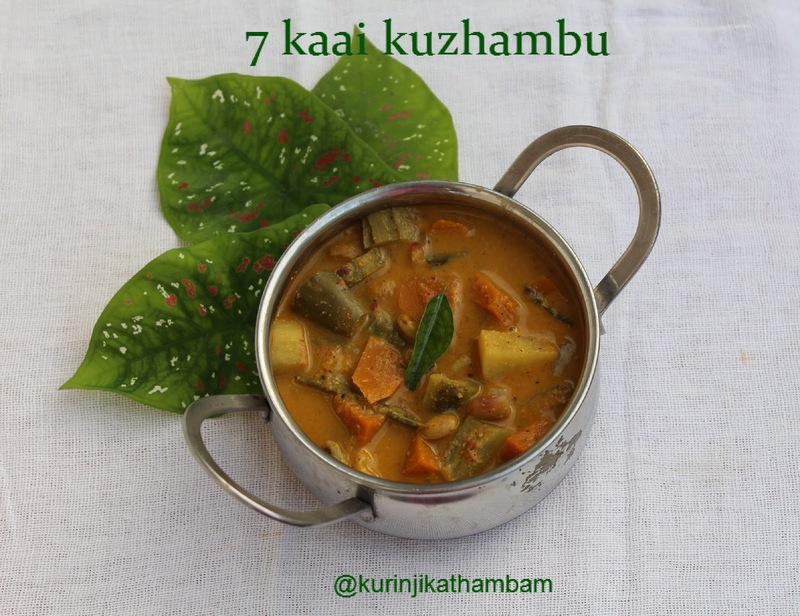 Also this Kuzhambu is prepared on Pongal day also. You can prepare this even on normal days also because this is very healthy and energetic. 1. Heat 1 tbsp of oil in a pan; add onion and red chilli. Fry till the onion becomes translucent. 2. Then add the coriander powder and curry leaves. Sauté for a min. Allow it to cool down completely. 3. Grind them into a fine paste using little water and keep it aside. 4. 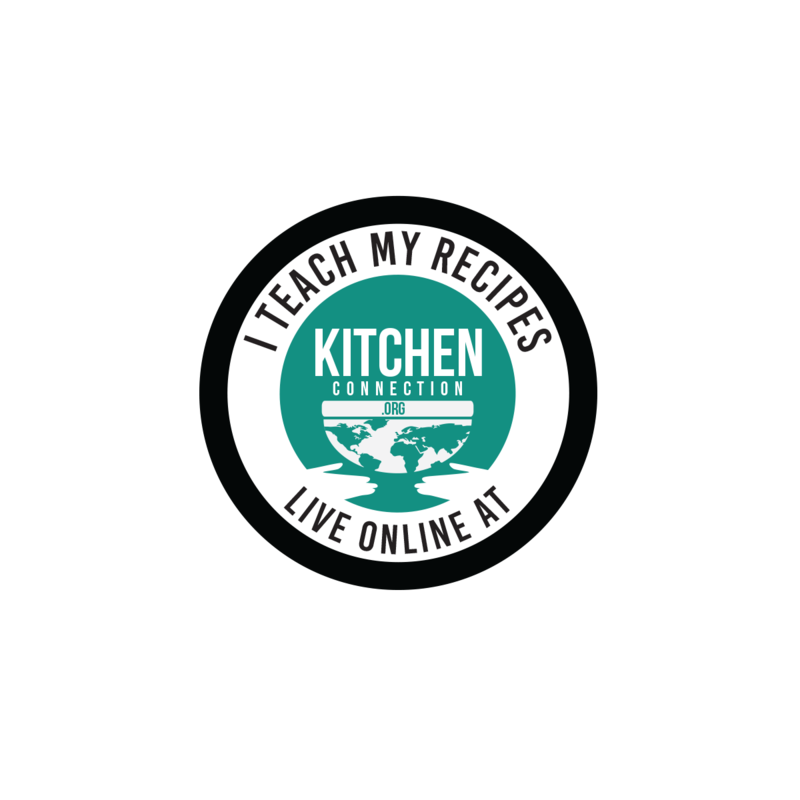 Soak the tamarind in warm water for 10 mins. Then extract the juice from it using required water. 5. Boil mochai payaru with salt and ¼ of water in a pressure cooker for 1 whistle or cook in a vessel till it becomes tender. 6. In a big vessel, add tamarind juice (from 4), ground paste (from 3), turmeric powder, salt and chopped vegetables except mochai. 7. 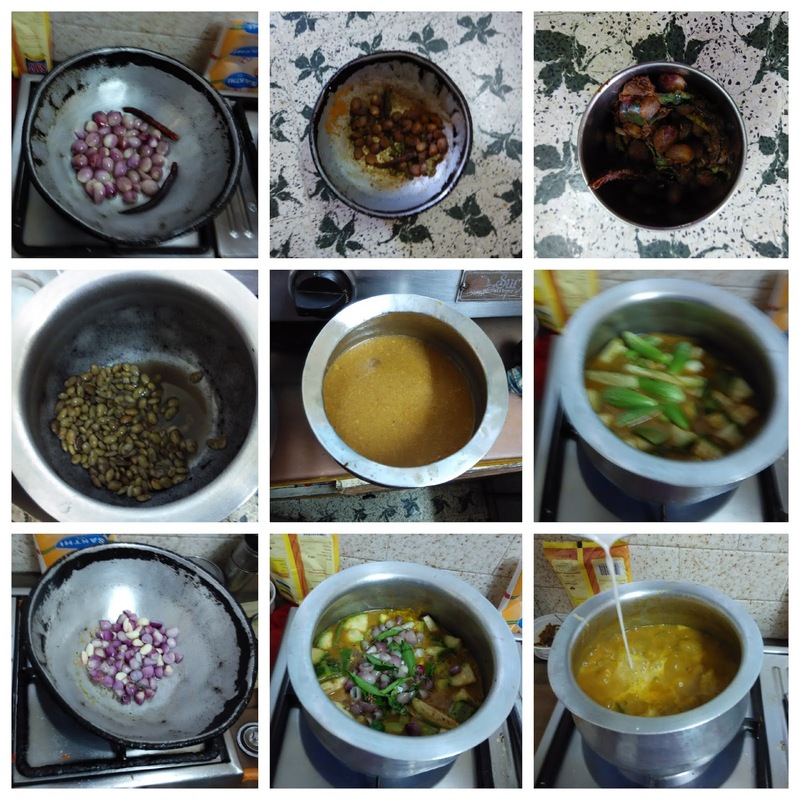 Boil this mixture till the vegetables become tender. Then add boiled mochai (from 5). Cook for 2 more mins. 8. Now add the coconut milk and cook for 5 mins. 9. Finally add the chopped coriander leaves and switch off the flame. Ezhu kaai kuzhambu is ready for Thiruvathirai and Pongal. 1. You can use red chilli powder instead of red chillies. 2. Adjust the spice level according to your taste. 3. You can use big onion instead of sambar onion. 4. You can use coconut paste instead of coconut milk. Delish and healthy!! Good way to incorporate veggies in our diet.